April 23rd – How to retrieve your home planet! 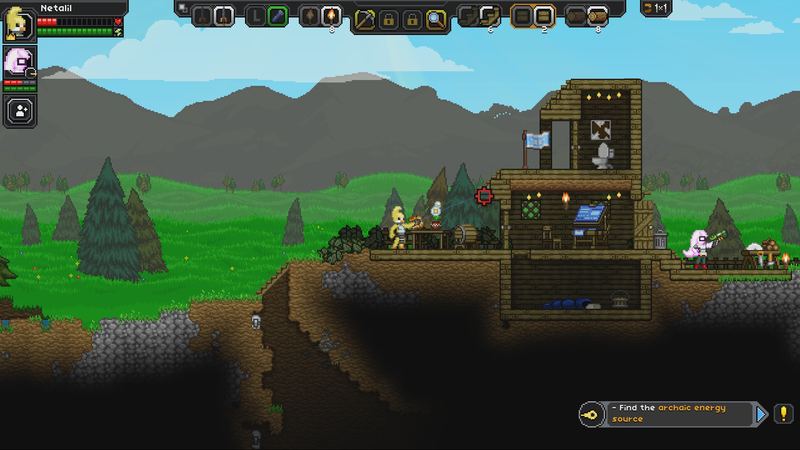 As you may have read in our patch notes, the newest stable update saw the ‘home planet’ feature replaced by planet bookmarks and direct teleporters. This meant that existing characters would lose track of their home planets, as they’d no longer have the ‘home’ marker. 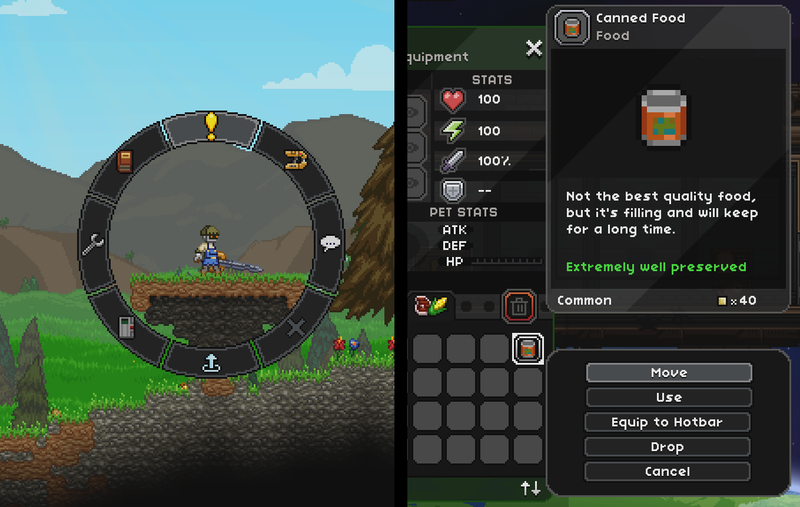 Elite Space Hobo from our community beat us to posting a guide, which you can find here. Find your universe folder. 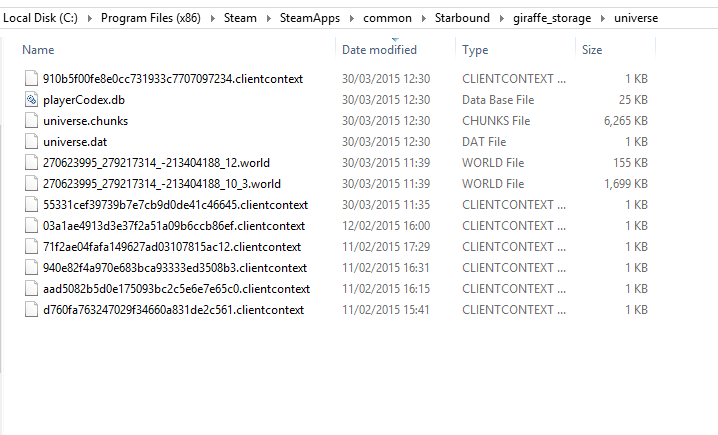 Typically, it should be located in SteamLibrary\SteamApps\common\Starbound\giraffe_storage\universe. Right click -> sort files by date last modified. If your planet’s been heavily customized/built upon, it should be one of the larger files. If you visit it frequently, it should also be one of the most recent. “What do all these numbers mean? !” World files with names like: 270623995_279217314_-213404188_12.world mean that you’ve visited a planet with the coordinates X -270623995 Y -279217314. 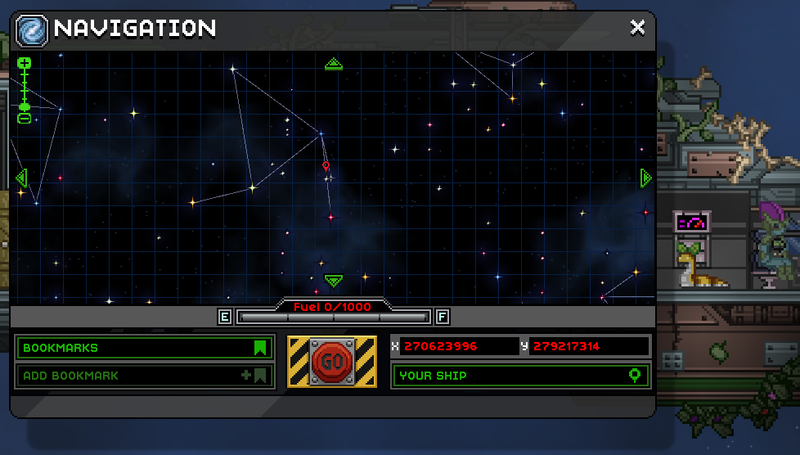 Put the coordinates into your ship’s computer and… hopefully, voila! Planet located! If not, try some of the other planets in your universe folder.